Just because the price was slashed by a HUGE %, doesn’t mean you should buy it! We would personally NOT buy any of the following, and we hope you don’t either. This 32″ 720p 60Hz Samsung – we don’t hate this TV! 720p and 60Hz on a 32″ is not as bad as the same configurations on a 50″ TV. So if there aren’t any other deals, go for it. This 39″ 1080p 60 Hz Samsung (33% off deal – Expired as of December 5th 2013) is also OK – but keep in mind it’s NOT 120 Hz, which is what we recommend most. But if you can spare $100 more, go for 120 Hz like on this 40″ 1080p 120 Hz Samsung. You’re also getting an extra inch (39″ inches vs 40″). I’d give 100 bucks for an extra inch any day! You get the idea, if that’s the kind of deal you’re looking for, sorry, you won’t find them here! If the TV is going to be in a workshop, and you’re going to use it more as a radio and not a TV, yes, then it’s OK to buy a cheap TV. If you want to ENJOY the rich colors, high definition, good color contrast, go for a good brand name! 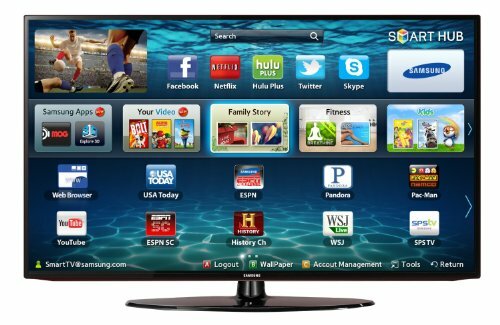 The GOOD NEWS is that there are some decent TVs this Cyber Monday with Brand names like Sharp, LG, Samsung and Vizio. Our advice is that you stick with one of them! But do keep in mind that these are by no means the BEST TVs available today! Micro-dimming – one of the inherent problems of LED TVs is there inability to produce dark blacks. TVs with local/micro-dimming have extra mechanisms to make images extra dark. However, this is only available on a few Samsung, Sony etc. TVs. If you can’t afford those expensive ones, don’t fret too much. But if you have the funds, go for a TV with micro-dimming by all means. Most of the deals have now Expired, Gone out of stock or have been watered down. However, keep checking because we have seen them come back in stock! Do we RECOMMEND this Black Friday deal or NOT? Yes, if you can grab it for the deal price, it’s great. It’s more expensive than this 32″ Seiki and this 32″ Funai. However, the picture quality is way better. 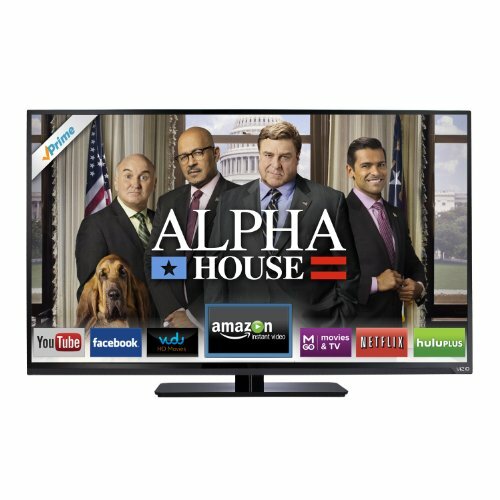 If you’d rather forget the price and want a higher quality 32″ LED TV, we recommend this 2013 model. 3D No, 32″ TVs don’t generally come with 3D. If you want 3D, we recommend that you go with a bigger TV. If you MUST HAVE 3D in your 32″ TV, your options are very limited. You can check out this Vizio, but we don’t necessarily recommend it. Special Remarks Recommended for most people that will be using this for general viewing. For fast moving video games or sports/action, there may be a little motion blur/delay, but it won’t be a big problem unless you’re a videophile. Special Remarks NOT Recommended, this is almost 2014! We recommend one of the models mentioned above. LED Backlight Technology LED-Edge Lit with micro dimming – this is the reason this TV is expensive. Micro-dimming can make a BIG difference in producing deep blacks. If you can afford the extra few hundred dollars, the F7100 series is better than the F6300 series for this reason. Special Remarks Recommended, however, it’s best to be aware of the basic differences between Samsung’s F6300, F6400 and F7100 series before you make the purchase so that you don’t spend any less or any more than you want to spend. Do we RECOMMEND this Cyber Monday deal or NOT? Hmm… this is EXPENSIVE! 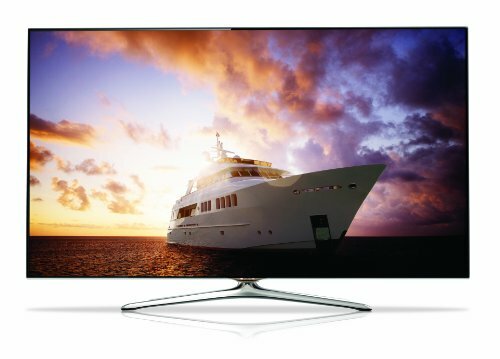 With the WT60 series, you’re paying for premium features like 240 Hz refresh rate, Voice Guidance, Voice Interaction, Intelligent Local Dimming, Dual Core with Hexa Processing, VIERA Touch Pad Controller, ISFCC Certification and a Built-In Camera. There’s nothing wrong with those, but not everybody need them. If you want those fancy features, this is your chance to buy it at a 40% discount. But if you don’t want them, you can check out the Panasonic 3D ET60 series or the Panasonic non-3D E60 series. They both are excellent and have excellent customer reviews.We’ve said it before, and we’ll say it again, if you’re willing to invest upwards of $1000 on a 55″ LED TV, YOU MUST CHECK OUT the Sony KDL-55W900A. It’s like the BEST 55″ TV EVER.. In fact, we will go to the extent of saying even if you’re looking to buy a 50″ or 60″ sacrifice a little on size and go for this 55″ Sony. Check out how many 1 star and 2 star reviews there are, and you’ll immediately see what we’re talking about. However, such great quality doesn’t come cheap. Any special features? 2D-3D Conversion, Voice Guidance, Voice Interaction, Intelligent Local Dimming, Dual Core with Hexa Processing, VIERA Touch Pad Controller, ISFCC Certification and a Built-In Camera, 4X 3D Eyewear Included, VR-Audio Pro Surround 2.1, 178 degree Viewing Angle, Bluetooth – like we said before, this is a full-blown model! Special Remarks Go for it by all means if you have the funds. However, do take a close look at the Sony KDL-55W900A (our favorite by a mile), the Panasonic 3D ET60 series and the Panasonic non-3D E60 series and make a decision. Any negatives None other than the price! Do we RECOMMEND this Cyber Monday deal or NOT? Yes, it’s a great deal on a great TV set. This is a 2012 model however and you can also check out the2013 model which has some more advanced features, at an extra cost of course. Do we RECOMMEND this Cyber Monday deal or NOT? NO. This is a 2012 “dumb” model. When there are Smart 2013 models for just a couple hundred more dollars, you can’t justify investing on this. Consider the Samsung F6400 series or F7100 series which are smarter etc. etc. Do we RECOMMEND this Black Friday deal or NOT? Yes, if you can grab it for $499, we highly recommend it. However, if you can invest a little bit more, we recommend the Sony KDL-55W900A. It’s like the BEST 55″ TV EVER. Just look at the customer reviews and you’ll understand. If you’d rather stick with an LG, we recommend the LG 55LN5710 SMART TV over the “dumb” LG 55LN5100. 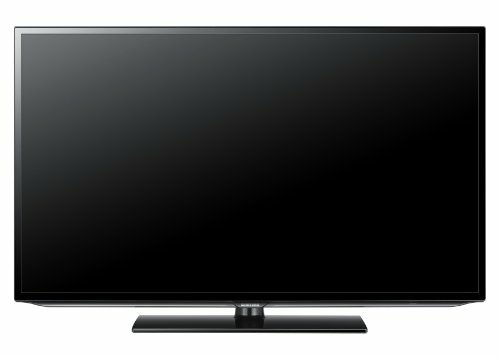 The Panasonic TC-L58E60 is also another highly recommended TV of this size range. Other inputs 1 component (rear), 1 composite (rear) and 1 RF antenna/cable (rear). Special Remarks Recommended, if you’re on a budget. 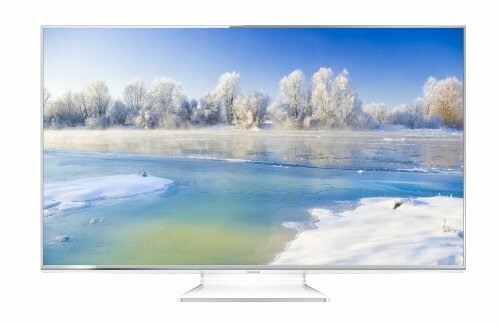 Good for everyday TV watching, however, if you want maximum picture quality with rich colors and high contrast ratios together with internet access, Wi-Fi compatibility, web-browser, and smart apps, consider the Sony KDL-55W900A, LG 55LN5710 SMART TV, or Panasonic TC-L58E60. Do we RECOMMEND this Black Friday deal or NOT? Yes, SUPER HOT. Unlike several other Black Friday deals, this is a full-blown, feature-rich LED TV. It’s SMART, it has built-in Wi Fi, it’s ultra thin, has a slim bezel etc. etc. in addition to being 1080p and 120Hz. In addition, it’s a VIZIO, not an Emerson or a SEIKI or a Westinghouse (no pun intended). For $688, it’s worth driving to Walmart and having to deal with the crowds. However, if you can invest a little bit more for a 240Hz model, we recommend this VIZIO M601d-A3R. 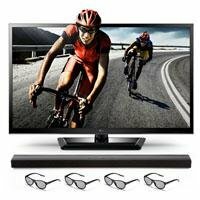 Other top-quality 60 inch LED TVs are Sharp LC-60LE757U Aquos Quattron 1080p 240Hz Smart LED HDTV and Samsung UN60F6400 1080p 120Hz Slim Smart LED HDTV. Other inputs 1 component (side), 1 composite, PC: 1 VGA, Ethernet: 1 and 1 RF antenna/cable. Special Remarks Highly recommended if you can grab it for $688. If you have to pay full price, you might as well go for a Sharp LC-60LE757U Aquos Quattron 1080p 240Hz Smart LED HDTV or Samsung UN60F6400 1080p 120Hz Slim Smart LED HDTV. Do we RECOMMEND this Black Friday deal or NOT? Yes, but it’s not a SMART TV. And it’s a 2012 model. But if you can afford to spend a little bit more, we recommend the Samsung UN60F6400 1080p 120Hz Slim Smart LED HDTV or this Sharp LC-60LE757U Aquos Quattron 1080p 240Hz Smart LED HDTV . Special Remarks Definitely a good 65″ TV with very good picture quality. But this is 2012 technology and we’re almost 2 years ahead of the manufacturing date of this, and technology does get obsolete. It’s great value for money, but if you can afford to invest a few more hundred dollars, we recommend the Samsung UN60F6400 1080p 120Hz Slim Smart LED HDTV or this Sharp LC-60LE757U Aquos Quattron 1080p 240Hz Smart LED HDTV over the UN65EH6000. Any negatives Yup, it’s not SMART, no internet, no 3D. If you want a 65″ TV under $1000 over internet and 3D and apps etc., this will be that perfect Black Friday TV Deal. Your link for the “LC-42LB150U the 42″ version of the 50″ LC-50LB150U is on sale for $299.” isn’t accurate. It brings you to Best Buy for $479.99. Can you give me more information on this? Was it until a certain time or was it on a different site, etc.? 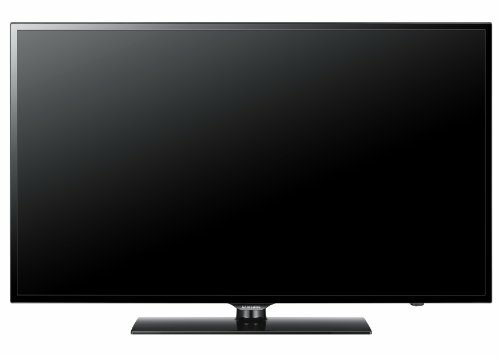 I’d really like to find this deal and get this TV at the price, if possible. Thanks for the info! Sorry Emily my bad, we hadn’t updated that it was expired. How can you Possibly post a TV that’s $500 And then instead recommend a TV that’s three times the price as an alternative?! It’s asinine.